Suresh Arts Productions biggest venture and the first biggest film of the year 2018 to hit silver screen is this ‘Raju Kannada Medium’. 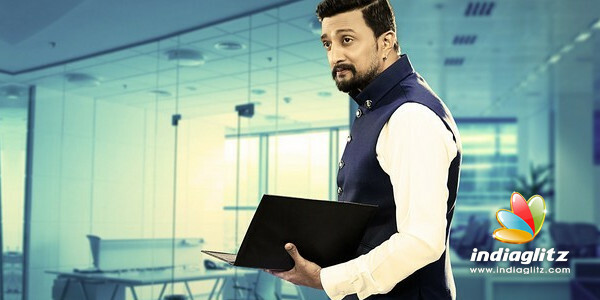 The presence of Kichcha Sudeep as businessman and his short stay in the film is a major turn. It is a first major turn for the lead actor Gurunandan. Later the character portrayed by Kichcha Sudeep is also a big turn to the overall film. Producer KA Suresh of –Eradane Madhuve, Govindayanamaha, Shravani Subramani, RX Soori, Shivalinga is with a big investment in this film. The protagonist from the Malnad region of Karnataka comes to Bengaluru for studies and he gets adequate support to enhance his strength. There are three stages for Gurunandan. Ashika Ranganath, Avanthika Shetty and Angelina are three heroines with Kichcha Sudeep as prominent actor. 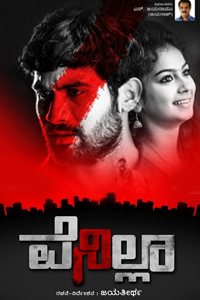 First Rank Raju (FRR) super hit film director Naresh Kumar has directed this film. Kiran Ravindranath continues his melody from FRR, the songs are tremendous and recorded good scoring in the social media. Shekhar Chandru has given visual feast is the observation of people who have watched the trailer of the film. Girish has worked in editing and he is also from FRR team. Achyuth Kumar, Sadhu Kokila, Kuri Pratap, Chikkanna, Suchindra Prasad are in supporting roles. For one of the songs directors such as Om Prakash Rao, Indrajith Lankesh, Boss Boss winner Pratham and Kirik Keerthy have stepped. In the direction department Cheluvaraj, Anoop Aryan, Hemanth Arun, Lakshmi Vinayak and others have worked for the making of this film ‘Raju Kannada Medium’.